There's a video of me successfully flying a Boeing 777 under the Golden Gate Bridge on one engine and then going into barrel roll somewhere over Alcatraz, but I’m not allowed to share it. Fortunately, I am clear to share this one of me landing that same B777 at SFO, because, without it, no one who knows me would ever believe I did such a thing without crashing (which I did also but only once and due to circumstances that were objectively not my fault). As I do not moonlight as a licensed (or otherwise) pilot, some of you will have guessed that this isn’t footage of me landing an actual plane from the actual sky. 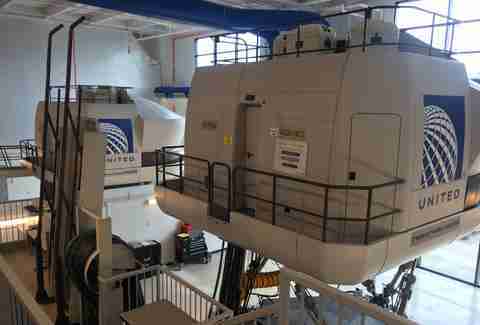 It’s the result of a recent trip out to the United Airlines Flight Training Center in Colorado to test two of the simulators the airline uses to train pilots. You can choose your airport (in addition to San Francisco, I hit Las Vegas, Mexico City, New York City, Chicago, and Tokyo), as well as manipulate conditions like daytime or nighttime, wind resistance, and engine failure. Also, we got to jump down one of those emergency slide raft-y thingies, but free from the terror with which it would normally be associated. These flight simulators -- which can cost nearly $20 million -- are not readily available to the general public. Yet none of the other folks in the training center that day were members of the media; they were MileagePlus cardholders who had used their reward points to buy the experience. It turns out there’s a bunch of ways cardholders can spend their points on special United-curated experiences, rather than just getting a free checked bag or something. United is not the only airline moving in this direction. 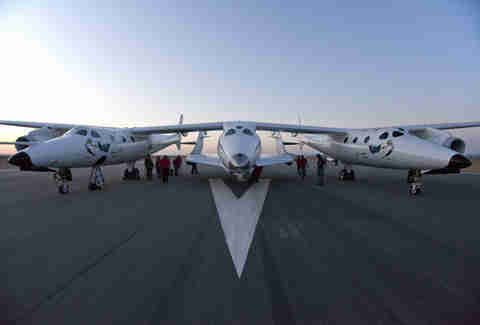 Virgin Atlantic will let its Flying Club members redeem 200,000 miles for 10% off a Virgin Galactic suborbital flight -- that’s right, that means a flight into space -- which normally sets you back around $250k. 40,000 miles will buy you a day-course intended to help you overcome a fear of flying (you can earn points in other ways besides flying, in case you were wondering how someone with such a phobia accumulated that kind of mileage). American Airlines’ partnership with Mastercard is courting members with private dinners cooked by celebrity chefs, or tickets for red-carpet Broadway premieres. This summer the airline offered a few cardholders meet-and-greet access to The Chainsmokers. Delta Airlines’ SkyMiles Experiences have expanded to include not just seats at all manner of sports games (four tickets start at around 20,000 miles) but kitchen tours at The French Laundry and Per Se, and behind-the-scenes access at the Grammys. Back with United’s MileagePlus program, you might score dugout seats at Astros games, celebrity meet-and-greets, or a trip to the Tony Awards. 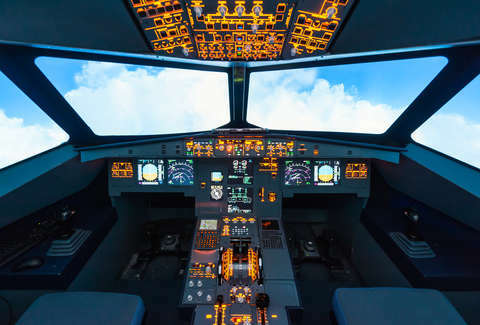 The Airbus simulator costs around $1,400 to rent out (that’s per hour, not per session) -- but that’s irrelevant because the airline doesn’t sell training time to individuals, even if someone did want to spend that kind of money. For the self-described “plane nuts” who joined me on the course, you can see the appeal. Some had come from out-of-state, bearing logbooks and those novelty T-shirts that say “NORMAL DNA” over a picture of normal DNA and then “MY DNA” over one of DNA made out of little airplanes. A United representative told me that some customers spent up to 300,000 miles for a two-person flight simulator experience package. In July 2011, Time ran an article titled “Want Happiness? Don’t Buy More Stuff -- Go On Vacation.” Google searches for “experiences not things” -- previously at a volume slightly higher than nothing -- spiked massively that month and have been more or less climbing ever since, with the media and travel industries steadily mainstreaming the idea. This is a good place to note that “experiences not things” is essentially taking the age-old “money can’t buy happiness” maxim and rebranding it to sell you stuff. Of course, experience-focused rewards programs are a natural fit for airlines, who have basically been selling the intangible for years -- when you book a flight, the thing you’re really paying for isn’t the seat on the plane, it’s a trip somewhere. The barrel roll didn’t feel quite real in the G-force kind of way you register in your stomach, but I can absolutely promise you that when it comes to watching a landing strip get closer and closer while you hear “BEEEEP. OBSTACLE. OBSTACLE. PULL UP. PULL UP. BEEEEEEEEEEEEEEEP!” your stomach does not know the difference. If you’ve ever seen those videos of people trying VR headsets and freaking out when they’re asked to step off a cliff or something, even though they know they’re standing in, like, a Marriott convention room, you will understand. In fact, the simulations were so realistic that I kept reaching up to pop my ears. This is why the footage of me skimming 10 feet over the water under the Golden Gate Bridge will remain unpublished, lest it finds its way across the internet sans context and have anyone thinking it was real. You may be sure, though, that I’ve been aggressively showing it to all of my friends.